Great Bear is now the ambient division of Culina Group. 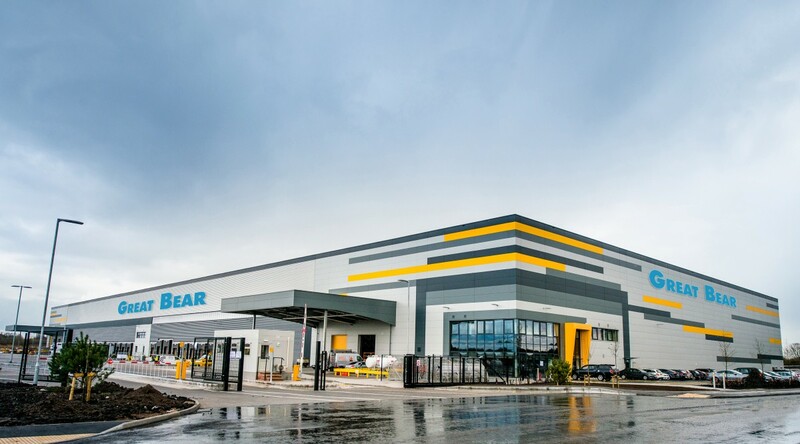 The new Port Salford facility will be fully branded as Great Bear and offers 45,000 pallet spaces, 30 loading doors, 30,000 sq. 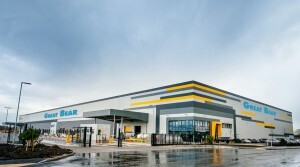 ft. of contract packing and 130 trailer parking spaces whilst also creating 280 jobs in the area. From the outset General Mills (UK/Ireland) is in situ as a Culina Group / Great Bear client. Its brands such as, Old El Paso, Green Giant, Betty Crocker, and Nature Valley, will be arriving by short sea freight from Europe, saving a significant amount of road haulage miles per year whilst at the same time providing a “future proof” solution to market trends. Port Salford is a massive investment by Peel Ports Group, which will create 1,600,000 sq. ft. of warehousing. Its unique location will allow direct vessel access from the new Liverpool2 Terminal at the Port of Liverpool, due to open later this year. This is all part of the bigger global plan by Peel Ports to develop Liverpool as a deep water container terminal and a key Atlantic Gateway.